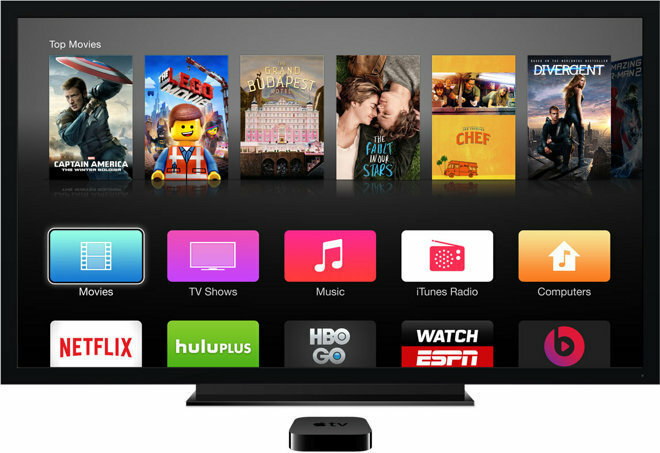 Though new Apple TV hardware is expected to appear at an upcoming Sept. 9 event, Apple's long-awaited subscription television service is reaffirmed to remain on hold, thanks to ongoing negotiations with content owners. Echoing earlier reports, Jessica Lessin of The Information said in a letter to subscribers on Friday that she has been told by sources that the "economics" of a subscription TV service remain the main sticking point between Apple and its potential partners. Specifically, the price Apple wants to charge consumers is said to be too low for content makers, preventing the service from debuting next month. "There's still a big gap between the price media companies want for their TV channels and the roughly $40 a month Apple wants to charge consumers," Lessin wrote. "Something has to give." Lessin's sources said that in the absence of a subscription service, Apple will focus on integration with HomeKit accessories, allowing the Apple TV to be a hub for controlling connected devices in the home. She was also told that Apple plans to spotlight security, highlighting the fact that data will be stored on the Apple TV itself and not in the cloud. Apple's interest in $40-and-under pricing has been publicized since March. Back then, it was said Apple hoped it could work out a deal to launch the new service, and a new set-top box, by June, in time for its annual Worldwide Developers Conference. But neither the service nor new hardware were unveiled at WWDC, and the new Apple TV unveiling is now said to be a part of Apple's Sept. 9 event. The device is said to include support for Siri voice control, a new remote with touchpad, and a dedicated App Store for third-party downloads. Despite the hardware's apparent imminent launch, multiple reports have said the subscription service has been internally delayed to sometime in 2016, due to sputtering talks with major networks like CBS, Fox, and NBC. But in addition to alleged licensing hurdles, Apple has also been said to lack a network infrastructure capable of feeding what is expected to be a large number of Apple TV boxes. Apple supposedly needs to populate servers around the U.S. with content to ensure a smooth streaming experience, but so far only fields data centers in California, Nevada, North Carolina and Oregon. The company has been building out a proprietary network, but currently leans heavily on Akamai to handle its content distribution grunt work.